You pick them out to exchange as tokens of your love and devotion, but what about capturing your wedding rings in photographs? Don’t let this detail slip through the cracks in all the hustle and bustle on your wedding day. There are countless ways to photograph wedding rings; the choice, ultimately, comes down to personal preference. Here are some ideas to help you decide. 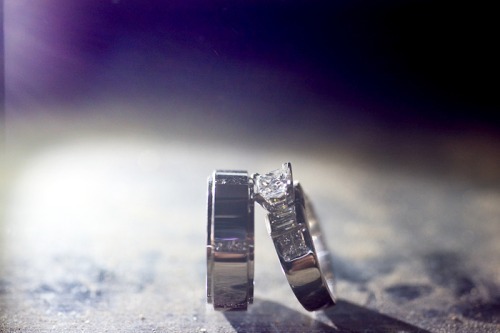 Photographing wedding rings on your hands makes for very personal and intimate photos. Wedding ring photos also turn out beautifully when they’re off your hands. An added benefit of taking ring photos sans hands is that we don’t have to take you away from wedding preparations to capture the photos. Already married but don’t have any wedding ring photos? No worries, you can have your rings photographed anytime. Again, with wedding ring photos taken off the hand, you don’t have to even be in the shot if you don’t want to. 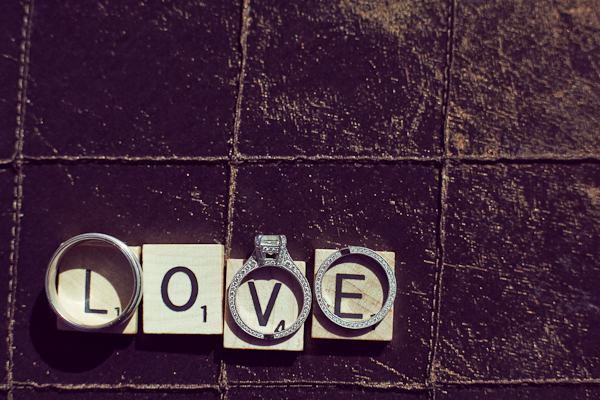 Brides and grooms are getting really creative when it comes to taking wedding ring photographs. There’s no limit to what can be used as a ring cushion to capture the perfect wedding ring shot for you! Some brides and grooms are opting to highlight their shared hobbies and interests as a way to also show off their wedding rings. Maybe you enjoy playing scrabble or chess and want to include that in your photograph. 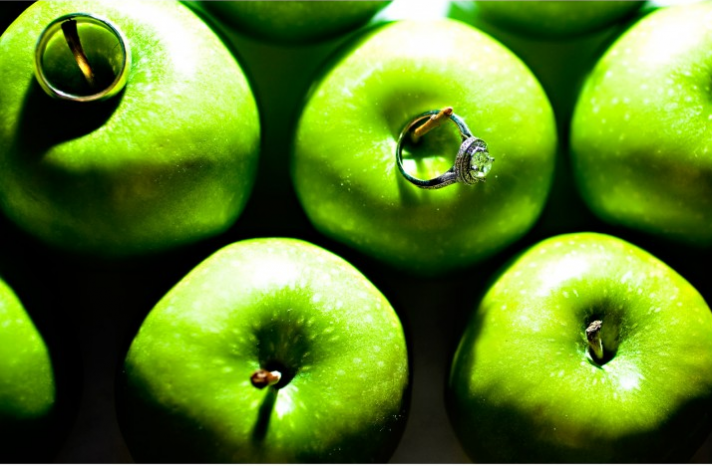 We also see an increasing number of rings being placed on bright and vibrant pieces of fruit. Pick your favourite colour or your favourite flavour and you have the perfect accessory for your newest accessories. 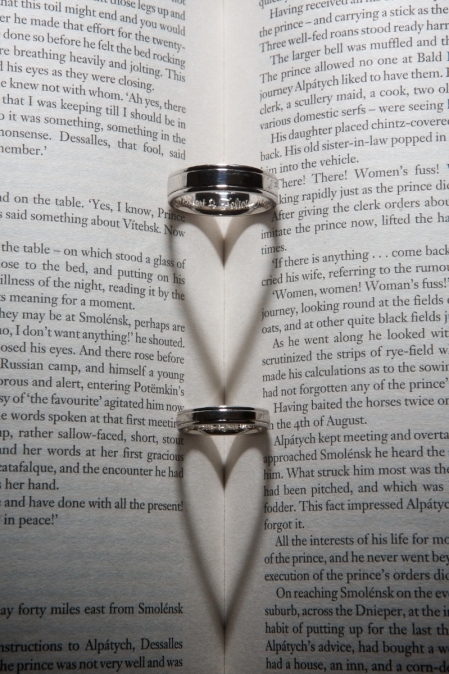 Opening up your favorite book to serve as a ring cushion is also a popular choice. With the right lighting, your rings will cast the appropriate shadows. 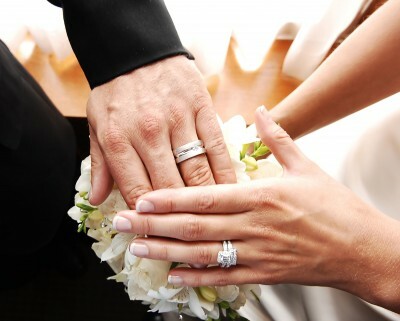 Your rings are a symbol of a commitment. A commitment you vow to last a lifetime. Let us help you capture photos of your rings that will also last a lifetime. Awesome idea. I’ve been struggling over what to do with my rings from my marriage.